Whether it be for your team, customers or clients, we offer a number of full day, half day and lunchtime/evening events for you to network, get to know people better and develop important relationships. A combination of Fly Fishing and Clay Shooting, combined with a good lunch make a great corporate day to bring your team and clients. This event we call The Cast and Blast. It is a real winner for developing positive relationships and generating some business as well. 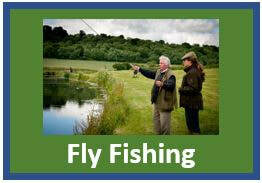 We have been running Fly Fishing Corporate Days for over 20 years now and find them really enjoyable and fulfilling. We will endeavour to respond with Event Options or an Event Design, within 24 hours. To hear from us about events, case studies and team building thoughts - please leave your details below. WHAT TO DO AND WHEN? Fly Fishing is a really good activity to choose for the Spring, early Summer. At this time of year, the fly life is coming alive and the fish are fighting fit. It is also good in the Autumn, when the lakes cool and the leatherjackets come out. 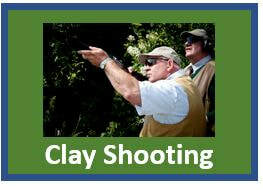 Clay Shooting is a good activity all year round but particularly popular in the early Autumn (before the Game Shooting season starts) and clay shooting is particularly good around Christmas, where shooting a box or two of clays combines very well with a festive lunch for a Christmas team outing.